With the right gear and some common sense, skiers and snowboarders can have enjoyable outings even when the temperature drops below zero. A well-equipped snowboarder blasts through the white room at Burke Mountain. When I pulled into the parking lot at Pico Mountain last Saturday morning, the thermometer in my car read minus-10 degrees. I went on to have one of the most enjoyable ski outings of my life. I'm one of those people who believes the old adage that, "there is no such thing as bad weather, only bad gear." Dress properly and exercise common sense, and it's never too cold to ski. Cold snow = Fast snow. When the temperature is dropping you should be, too. Winter clothing technology has reached a point at which gearing up for even the most extreme cold is a simple matter of dressing properly. Layers are key: A base layer that insulates but also wicks moisture away from the body, followed by an insulating midlayer (or two), followed by a water- and wind-proof shell. Midlayers are largely a matter of personal preference; fleece is popular and can be chosen in different weights for optimal insulation-to-bulk ratio. Down is an excellent choice in very cold weather, and wool is still a tried-and-true favorite of many. The head is a major source of heat loss, and many people assume a helmet provides adequate insulation. On really cold days, add a beanie beneath it or a hood over it (just be sure your hat isn't so thick that it compromises the fit of your helmet). 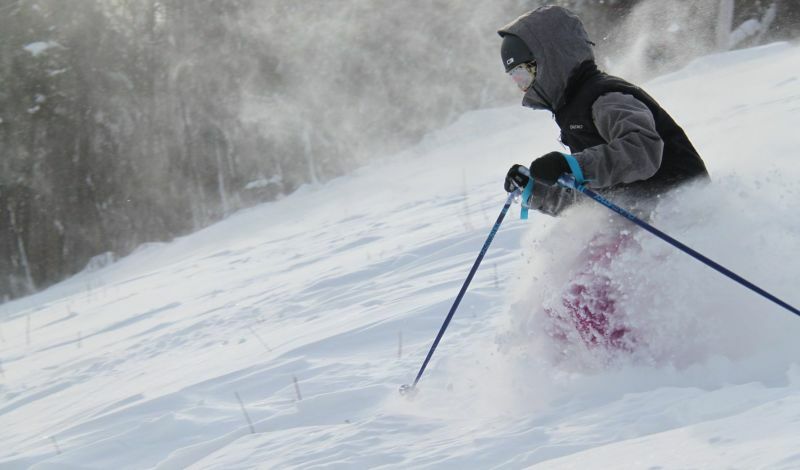 Particularly when it is cold and windy, eliminating exposed ski can make the difference between comfort and frostbite. Neck tubes, combined with the fully-zipped high neck on a proper ski shell, protect the vulnerable spots at and below your chin. Make sure your goggles interface properly with your helmet, to avoid critical heat loss at your forehead. Masks and balaclavas are many people's protection-of-choice for the face, while another old-school trick is to apply an ointment such as Bag Balm to cold-prone places like your cheeks and nose. Good, warm gloves or mittens are crucial, and be careful taking them off to snap selfies or post to Instagram - cold fingers can take a long time to warm back up. Hand and foot warmers are inexpensive and readily available at ski areas - use them. Two of three extra runs aren't worth it if your teeth are chattering on every turn. Take breaks. Even five minutes in the lodge can serve as a thermal reset button, restoring warmth to your extremities and re-energizing your stoke. Toss back a cup of coffee while you're in there, and you're born again. Dehydration is one of the most serious risks to anyone braving the elements during the winter. Breathing cold, dry air robs your body of significant amounts of fluid, and it's difficult to gauge your hydration level when your perspiration is being wicked away from your skin and absorbed by your clothing. Doctors recommend you drink the same amount of water while exercising during the winter - at least six eight-ounce glasses per day - that you would during warmer months. This may seem like odd advice for someone engaging in outdoor sports such as skiing and snowboarding but the more you move during the process, the warmer you'll be. Wiggle your fingers and toes while riding the lifts. Pick a few lines that require traversing, or even duck-walking up inclines. Once you drop into the fall line, make turns. Lots of them. Of course it's a total blast to disembark from the lift and just straight-line your favorite run, but the resulting lack of exertion and perpetual blast of cold air adds up to a recipe for being chilled to the bone. 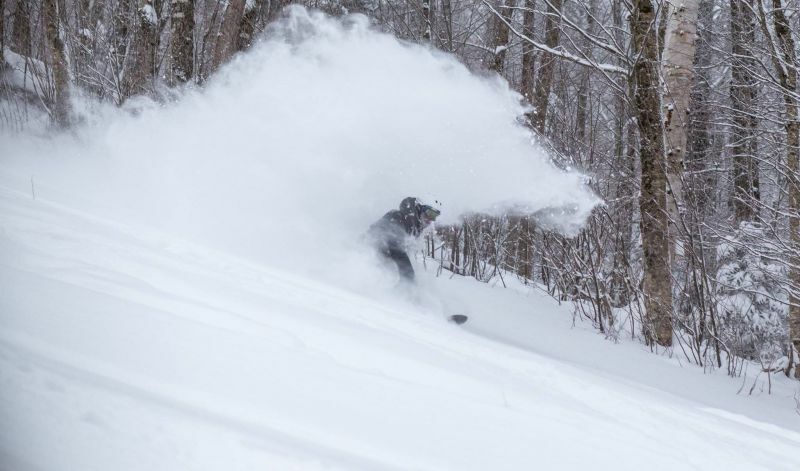 For the latest conditions at Vermont ski areas, visit Ski Vermont's Conditions Page.